dbarry_22's profile is set to private. 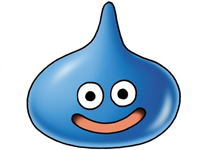 If you think I'm a blind DQ fanboy, re-read my DQ9 review. I think the point I was trying to make is that Nintendo made some drastic changes to the normal Zelda formula. And while in this instance it was not only acceptable but a nice change of pace, I don't see this as a winning formula that should be copied for the next 10-20 years. When I spend over 100 hours on a game and have a great time almost the entire time I think I'm perfectly justified with my 5/5 rating of a game. No game is perfect and me pointing out a few minor problems won't stop me from rating it that way. The amount of complaints and caveats you have with this game does not strike me as if you actually had a 5/5 experience. It seems more like you're trying to tow the line for the Nintendo status quo.